In honor of Independence Day on Monday, we take a look at 10 great movies about American patriots from the past dozen years. On the 4th of July, it’s important to recognize the strength and resolve of the American spirit. At times, it may seem that Hollywood takes that idea for granted but despite that, filmmakers continue to create great movies about American patriots that remind us about what being an American is all about. With that in mind, here’s a list of 10 movies — all from the past dozen years—that do a great job in capturing and celebrating American patriots. Miracle (2004): Aside from the 4th of the July, there aren’t that many major events when thousands of people rally around our country and celebrate our nation’s victories. The Olympic Games is one of those occasions. That is especially true when our nation’s athletes face off against the athletes of a nation that is warring against us. Such was the case in 1980 when the men’s U.S. Olympic hockey team faced off against the Russians in an intense match-up. The Russian team was favored (by a lot) but the U.S. men’s team defeated them in a historic upset and went on to win the gold medal. 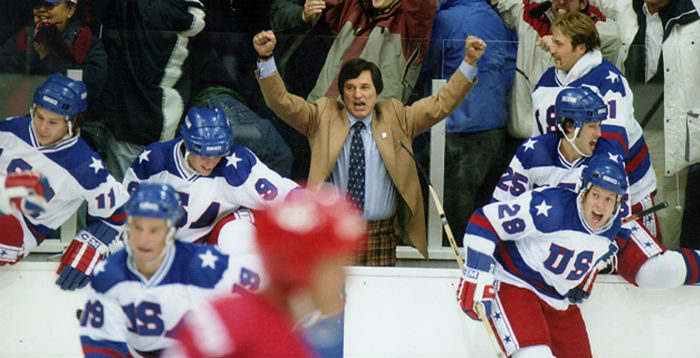 The 2004 Disney film Miracle chronicles how coach Herb Brooks (Kurt Russell) defied expectations and led his team — and our nation’s spirit — soaring in the midst of the Cold War. United 93 (2006): Written and directed by Paul Greengrass, United 93 is one of the best movies about the terrorist attacks on 9/11. The film — which was inspired by real events but necessarily features fictional elements — focuses on the events aboard the United 93 flight, one of the hijacked planes on that horrific morning. In the feature, the passengers aboard the flight plan a revolt against the terrorists holding them hostage. Instead of waiting to see what the hijackers were planning, these patriots rose up from their seats in an attempt to regain control of their plan. Their actions that day saved lives and Greengrass’ picture shows how chaotic that flight likely became in its final moments. Act of Valor (2012): In this 2012 feature, directors Mike McCoy and Scott Waugh attempted to show what Navy SEALs really faced with on the battlefield. They accomplished that by doing something daring and unexpected. They cast active Navy SEALs in the film. 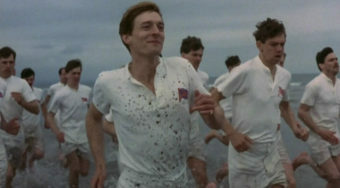 The feature wasn’t based on any specific events but it relied on true stories about what the SEALs face in their work. With the support and collaboration of the Navy, the film brought viewers into this unique world and showed the camaraderie and affection these soldiers feel for their fellow patriots and for their country. Argo (2012): Director Ben Affleck told the true story of a unique rescue attempt in his Oscar-winning feature, Argo. 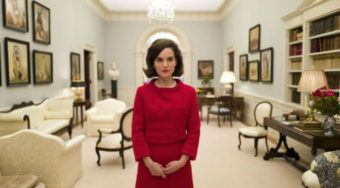 Based on a true story (that was classified for decades), the film features Affleck as Ton Mendez, a CIA operative who was tasked with rescuing American diplomats in Iran during the hostage crises. At the time, Americans in Iran were under siege with more than 50 diplomats being held captive at the embassy there. A few diplomats managed to escape and Mendez, pretending to serve as a film producer looking to make a movie in Iran, went undercover to bring those men and women back to safety. Mendez was a hero but didn’t get the recognition he deserved for this dangerous missions until the operation was declassified in 1997. Lincoln (2012): In Steven Spielberg’s commendable historical drama Lincoln, the 16th President (played by a terrific Daniel Day-Lewis) faces a nation divided. The Civil War was ending but our country wasn’t prepared for what happened next. Lincoln aligns himself with members of Congress — of both political parties — to ensure that former slaves cannot be returned to involuntary servitude after the war is over. Above everything else, Lincoln knew what was right for our country and pushed the United States, which had been divided for years, to embrace our best ideals. Lone Survivor (2014): Based on the book Lone Survivor, this Peter Berg-directed war movie brings the heroic Marcus Luttrell’s story to life. The feature revolves around a military mission to target a Taliban leader in Afghanistan. Although the mission faltered and the results were tragic, this patriotic drama showcases the sacrifices that our men and women make every day on the battlefield. Luttrell and his fellow officers were heroes who fought bravely for our country in a war that has cost thousands of soldiers their lives. Selma (2014): Although our nation was founded on great ideals, we haven’t always lived up to them. Such was the case in the 1960s when African-Americas were fighting for equal rights. The Reverend Dr. Martin Luther King Jr. fought bravely against the status quo to make our nation live up to its most noble values. Played by David Oyelowo, King takes center stage in Ava DuVernay’s remarkable 2014 drama, Selma. The feature captures King’s use of nonviolence protests to show the brutality that African-Americans faced in this country. The feature captures King’s obvious personal flaws but it also showcases his fight for a better America — an America that grants all of his citizens equal rights. American Sniper (2014): The highest-grossing movie of 2014 wasn’t the latest chapter in the Hunger Games series. Nor was it the Marvel feat Guardians of the Galaxy. The highest-grossing movie of that year was Clint Eastwood’s drama American Sniper. The drama was inspired by the life story of Chris Kyle, a soldier who is famously credit with being the deadliest sniper in U.S. military history. More of a character study than a typical war film, the feature was unfortunately politicized but earned acclaim from audiences and critics alike. It captured both Kyle’s bravery overseas and the difficulties he faced when he returned home. Bridge of Spies (2015): Director Steven Spielberg, who made this list earlier with Lincoln, has directed a great number of patriotic films. His greatest one was undeniably the classic Saving Private Ryan (1998) but in 2015, the Tom Hanks-drama Bridge of Spies offered a look at a different type of patriot. 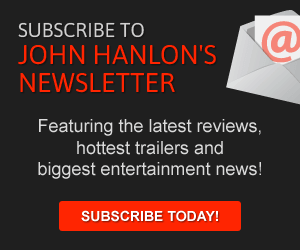 The drama takes on the true story of James B. Donovan (played by Hanks). In the feature, Donovan is tasked with representing a Soviet spy in court. Despite a public backlash, Donovan did his best to represent the spy. He wanted to show that the justice that a Soviet spy faced in America would be fairer (and more humane) than the “justice” that American spies would face in the Soviet Union. Donovan’s diplomatic skills — used effectively in the eventual prisoner swap here and in this leader’s eventual work in Cuba — helped the United States free thousands of prisoners who were being held overseas. 13 Hours (2016): Adapted from the nonfiction book 13 Hours, this 2016 feature told the story of a harrowing period during an attack on the American compound in Benghazi, Libya. The feature didn’t dive into the political ramifications of the attack or the aftermath of it. Instead, the Michael Bay-directed drama told the story of this long night, during which U.S. soldiers went out of their way to protect the U.S. consulate. Featuring John Krasinski and James Badge Dale, the harrowing feature showed how these soldiers fought against terrifying odds in an attempt to save the lives of innocent diplomats.